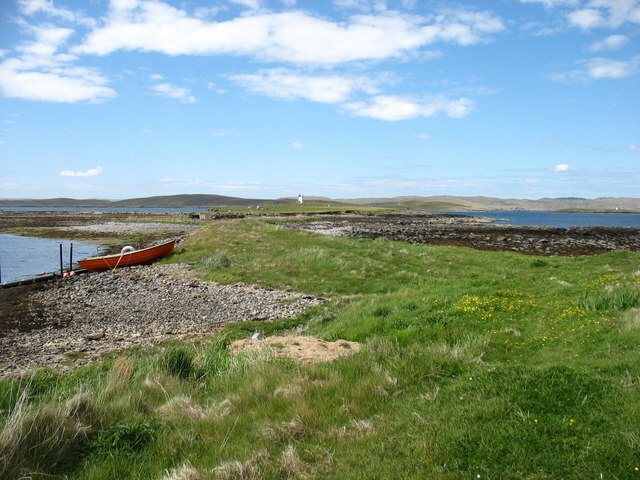 Suther Ness, with its beacon, is connected to the mainland of Whalsay. But you can't walk there direct from here, you have to approach from the left. Houb (on the left) would, I imagine, make a fine natural harbour were it not for the fact that the channel ahead which prevents a direct approach to Suther Ness is too shallow for all but the smallest craft (such as the little one seen here).